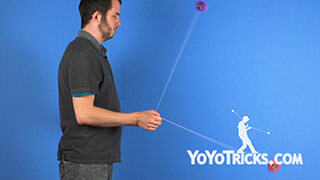 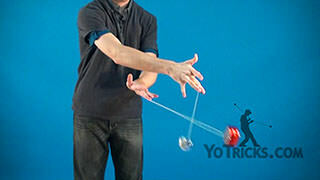 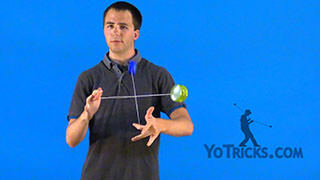 Learn how to do the 2A Two-handed Vertical Punches Yoyo Trick. 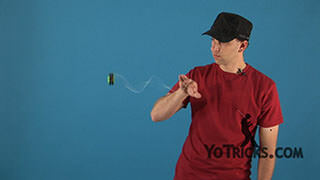 Vertical Punches Yoyo TrickThis is Two-Handed Vertical Punches, and it looks like this. 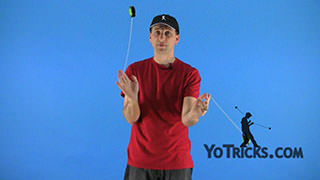 To do this trick you are really going to want to work on your Milk the Cow, so have Milk the Cow at least mastered before working on this trick. 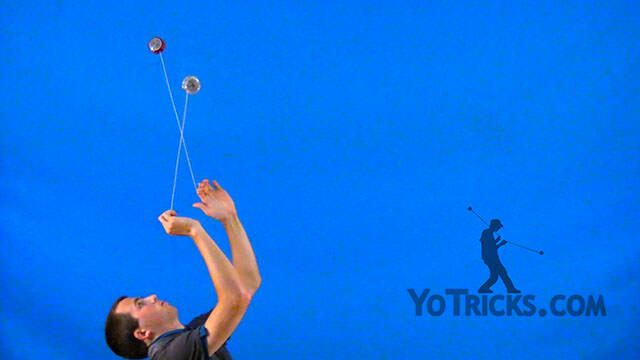 When you are working on your Milk the Cow, practice your speed on the Milk the Cow, the faster you can do your Milk the Cow, the easier it will be to fight gravity when you are dealing with your Vertical Punches. 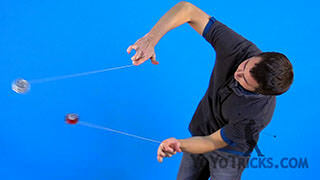 Even before you work on Vertical Punches I suggest you work on Milk the Cow – getting it down as best as you can. 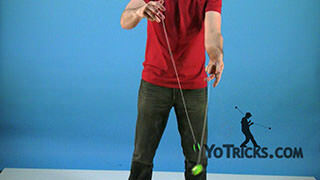 Next up, you are going to want to think about how to enter your Vertical Punches. You are going to want to Shoot the Moon into a Vertical Punch, or you are going to want to want to straight up throw into a Vertical Punch. 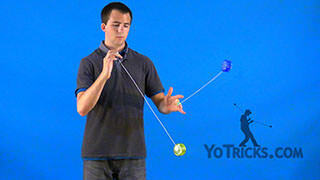 Do which ever one you prefer, I suggest eventually learning it both ways. 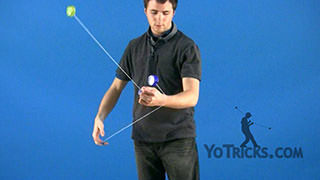 One other thing I suggest for Shoot the Moon is keep the Shoot the Moon going straight up, so that the yoyo is straight up and down when you do Shoot the Moon. 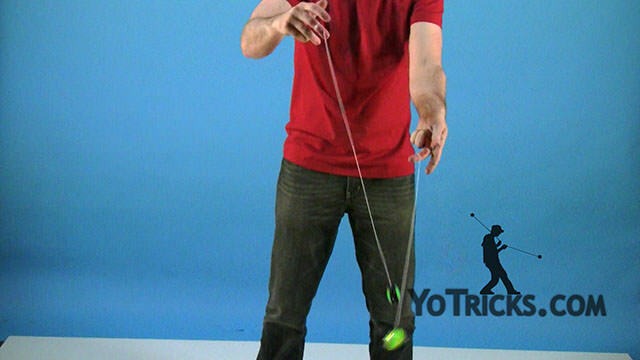 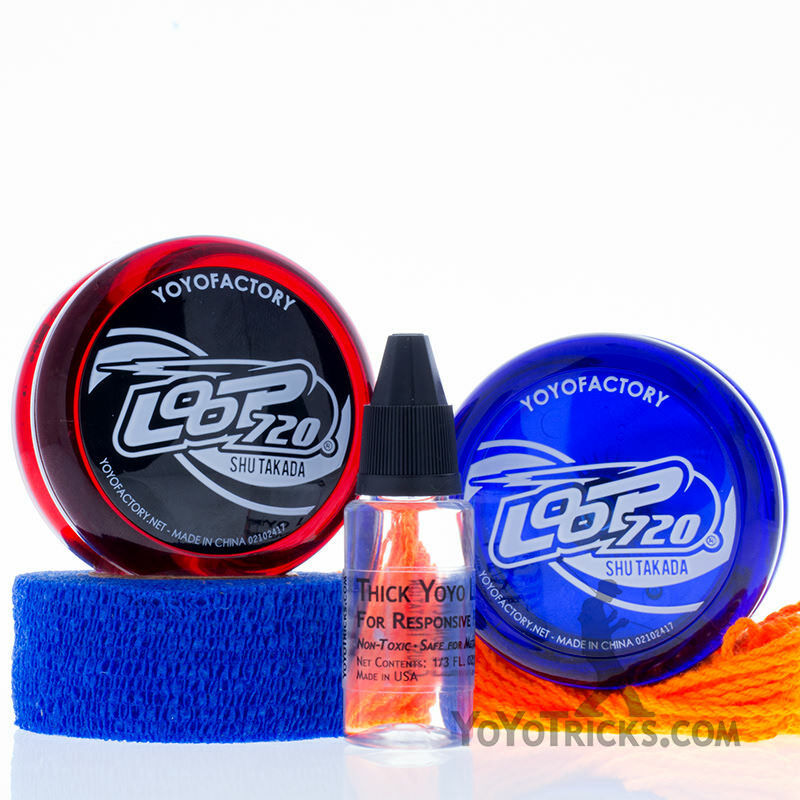 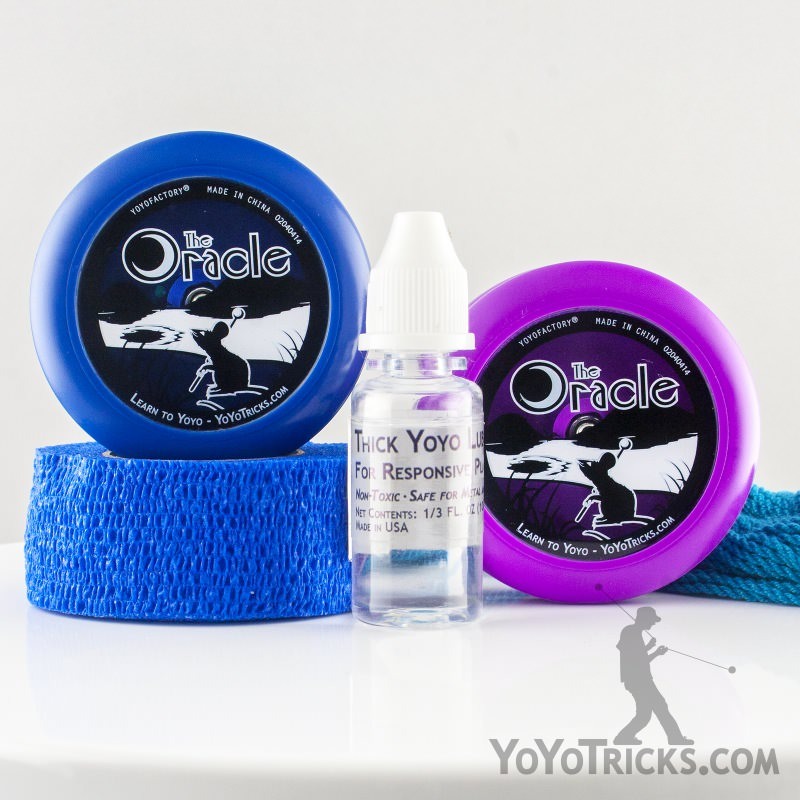 Then, in order to adjust the fact that the yoyo has to be angled on the Vertical Punch just move your hand slightly to the left if you are using your left-hand, or move your hand slightly over to the right if you are using your right-hand. 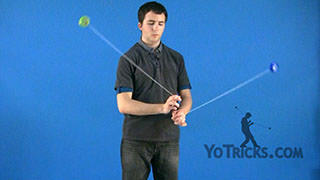 That will create the angle that you need in order to get into the Vertical Punches from Shoot the Moon. 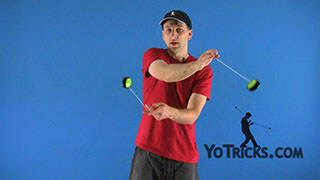 Also, from doing the straight-up throw, you are going to just want to practice the throws themselves. 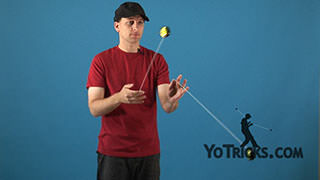 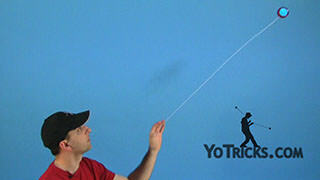 Practice throwing it straight up, and make sure it hits the end of the string when you get up there. 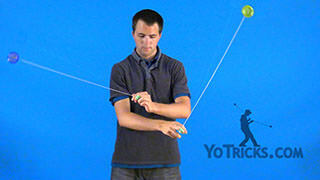 Just keep working on it. Eventually when you do it two-handed you want to angle the throws a little bit behind you like this rather than straight up. 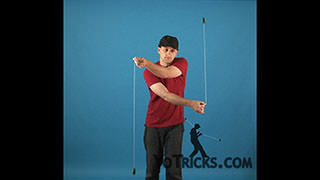 That way it will be easier to go straight into Vertical Punches from the throw. 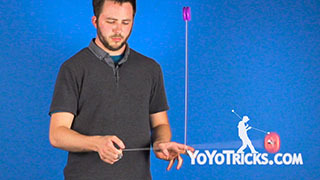 One thing that really happens a lot when you are practicing this trick, especially for many hours, is your back starts to hurt from leaning over so much, so you are going to want to do this either in a recliner chair or just lay down on your back and practice this trick. 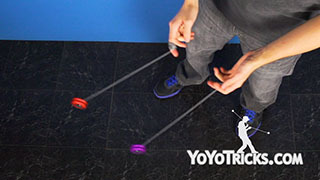 It is essentially the same when you are in a recliner or on your back, but it is going to work different muscle groups, so eventually you are going to want to master the trick while standing up. 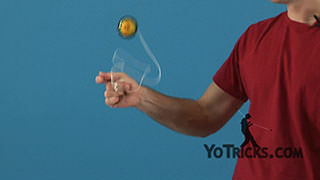 However you learn it, that is Vertical Punches.